Just a few years ago, Cara Brookins and her four kids felt trapped -- powerless to stop the domestic abuse happening around them, prisoners inside their own walls. You see, for a short time, Brookins was married to a man who she says “descended into full-blown paranoid schizophrenia.” And even after the two were divorced, he continued to come around and frighten her family. Her children were 17, 15, 11 and 2 at the time. And the last straw for Brookins was not so much a singular incident as it was a painful realization. Brookins didn’t have enough money to buy the sort of home that could comfortably house her four kids, but she wanted them to be in a safe place. So, they moved out of the house she shared with her abusive husband and into a tiny home outside of Little Rock, Arkansas. Then, shortly afterward, Brookins had an epiphany. As it turned out, she had just enough money to buy all the construction supplies and an acre of land. So, without looking back, she and her family jumped headlong into the project. 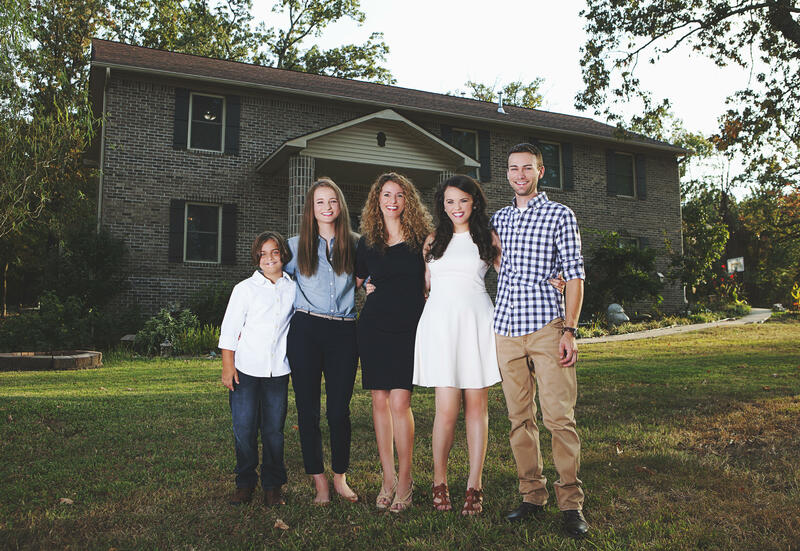 Faced with the overwhelming task of constructing a house with their own hands, Brookins and her family turned to an unlikely source: YouTube. Every step in the process was a joint effort. Her daughter Hope did the marking. Her son Drew ran the nail gun. And someone was always assigned to watching her youngest, Roman, as the 2-year-old toddler gleefully stomped around in mud on the job site. So, over the course of the next nine months, Brookins, a 110-pound computer analyst, and her four kids built their dream home from the ground up. They did everything from hand-mixing the mortar for the foundation to running gas lines and framing walls. And while it wasn’t easy, they persevered. Now, on the other side of a situation that once seemed hopeless, she has a message for other women who feel powerless and paralyzed by domestic violence.